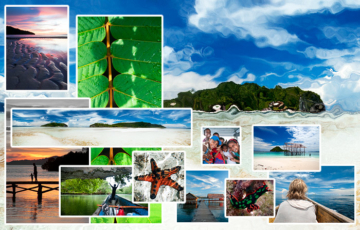 A knowledgeable and experienced English speaking guide for all things Raja Ampat and West Papua. 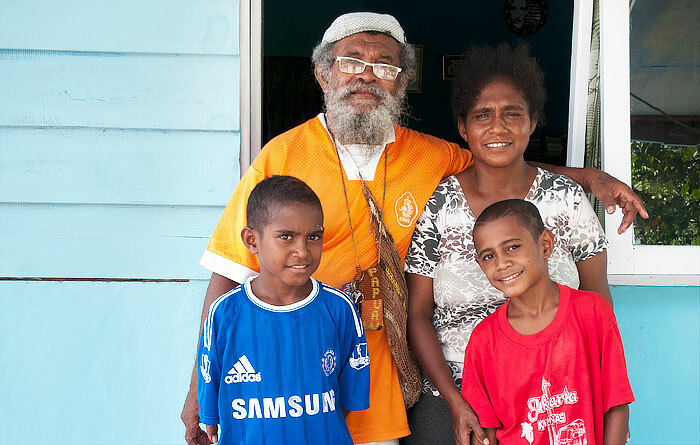 Pak Martin Makusi is the owner of Dore Atri Homestay at Yenbeser on Raja Ampat’s Gam Island. 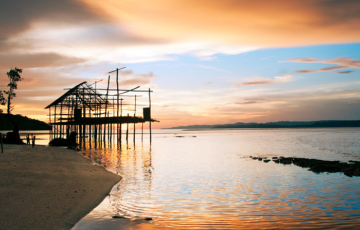 Pak Makusi has excellent English and a wealth of local knowledge to impart. 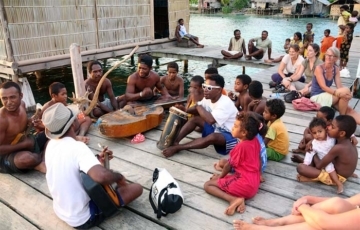 Pak Makusi’s family has lived at Yenbeser for generations and his wide network of contacts throughout Raja Ampat provide him with the resources to arrange tours designed for whatever special interest you may have. Tours of all kinds can be arranged: Bird of Paradise observation, local culture and historic sites, jungle trekking, nature tours and diving and snorkeling. Pak Makusi has his own longboat for transport and larger, faster boats can be organised if required for visits to any of Raja Ampat’s more distant isles. Pak Makusi worked in Papua New Guinea for many years and can use his knowledge of and contacts in that country to arrange tours for you there as well. He’s truly an “all of Papua” guide! We met Martin long before we knew he was a trustworthy guide on this web site…we live on a sailboat and dont always have a lot of internet access. So when we meet a new person who is so quick to be very very helpful to us, we are a little suspicious even if we more often than not are pleasantly surprised at how nice 99.9% of people are in the world. Martin was abundantly nice and welcoming to us when we arrived on our sailboat to an anchorage near his homestay. He came over and welcomed us to the area, sold us papayas for whatever price we felt was fair, and invited us to his home for tea and cookies. I had to ask him for a list of his tours or we may have never known he even had that service…so he is not pushy at all with his services… He arranged a bird tour for us right in GAM, near his homestay, and even negotiated a better price for us with one of his friends. His English is perfect, he has a great sense of humor, and a heart of gold. It is wonderful to see a man who wants tourism to benefit not only himself, but his whole village, and all of Raja Ampat. He wants everyone to be happy with the arrangements and with the tour- a good deal is one in which everyone walks away happy..and he works hard to help you with whatever you need. Sometimes people so helpful and outgoing as he is are out for personal gain and sometimes even no good, but not so with Martin. Martin is honest, respectful and I highly recommend him for anything you need. His wife Nelly is very quiet, but also has a heart of gold. His property is in a beautiful location, and has so much to offer! I recommend the Red Bird of Paradise walk..but bring binoculars, and an Indonesian dictionary if Martin doesn’t go with you, although a different guy than he usually uses guided us, so its possible his preferred guide speaks some English. The birds are unbelievably beautiful, the walk isnt that far, but wear good shoes, and its so green!